The Steel Park Bench GYOR-OR is made of steel legs and wooden slats. This outdoor park bench is a classical and stylish choice for parks, streets, boulevards and other public places where you can seat and relax. This park bench offers a comfortable seating and gives a elegant style to any place. The steel bench legs are powder coated. The coating is applied electrostatically and is then cured under heat. It is used to create a hard finish that is tougher than conventional paint, which gives the bench a higher resistance over time. The park bench wood slats are standard made from softwood (spruce, fir). Urban Bench 710-FR is made of cast iron ends and wood slats.This urban bench is a classical and styl.. 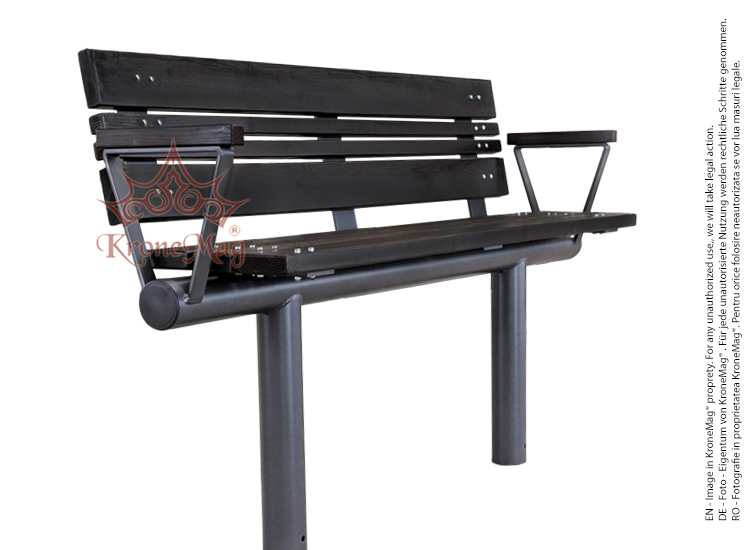 The Cast Iron Outdoor Bench 712-FR is made of cast iron and wood slats.This park bench is a cl..